Is It Safe to Use Inkjet Refills? The message that popped up on my printer's display said "One or more cartridges appear to be damaged. Remove them and replace with new cartridges." No, they're not. It's my printer that's “damaged” by a firmware update that HP pushed on me. I can't print anything because my perfectly good cartridges, with plenty of ink, are rejected by my printer. I couldn't find any way to reset the printer or roll back the update. SEE UPDATE BELOW... THERE IS A FIX! So I contacted LD Products, the company I always use for my cartridges. Fortunately they said, "We know what happened" and they're sending me replacements at no charge. At least THEY are doing the right thing. The issue is not just “non-HP” or refilled cartridges. Other customers who use only “new and genuine HP” cartridges have been reporting the same problem I have within the past month on the HP Support Forum. The problem is not defective or improperly installed cartridges, either, at least not in my case. My cartridges worked one day, but did not work the next after the firmware update. I didn’t touch them in between. So HP support’s standard response to complaints about “missing or damaged cartridge” error messages is a waste of time. I tried various tips and tricks that were supposed to reset the printer or solve the problem, to no avail. (There was one that involved sacrificing a chicken under a full moon, but I opted not to try that.) Actually, I have never seen a problem reported “solved” by an HP support rep in the HP Support Forum. Great job, folks. There's a setting on the printer to allow automatic updates, but mine is turned off. But I do recall getting a message from HP that I needed an important update to enable some exciting feature on my printer. That must have been when they snuck in that firmware update which borked my printer. HP's "Chief Inkologist" has publicly stated that "HP Inc never prevents a customer from using a refill or remanufactured cartridge because we believe in fair competition." But that doesn't ring true. When I spoke with the rep for LD Products, she knew right away what the problem was, and told me that an HP firmware update had caused the problem. Punished for Buying the Wrong Parts? UPDATE AND FIX! -- This page explains how to roll back your HP printer firmware, and re-enable the cartridges that HP is falsely claiming are "damaged." It's in Dutch, but if you have Google Chrome, you can right-click the page and select "Translate to English". I tried it, and it works! Apparently, HP cartridges that are "Generation 1" or "Generation 2" will no longer work if this update hits your printer. You'll need a Generation 3 cartridge. Unfortunately, there's no obvious marking on the cartridge to indicate which generation they are. When this message about "damaged cartridges" appears on the printer, you'll also get a popup on your screen, advising you to replace them with genuine HP cartridges, and a convenient link to purchase them. I can't prove that HP did this intentionally. I suppose it's possible that this firmware update was meant to solve some problem, and just coincidentally "damaged" all these refilled or third-party cartridges. But I doubt it. If that was the case, HP would have pushed out another update to fix the problem, right? To me, this is akin to a car manufacturer remotely disabling your vehicle if you have repairs done using parts that are not "genuine" or "approved" by the manufacturer. Can you imagine seeing this on your dashboard, after installing a third-party oil filter? "A damaged or defective oil filter was detected. Proceed immediately to your nearest Ford dealer and replace it with a genuine Motorcraft brand filter." My friend with an HP B209a reports past issues with “missing or damaged (or “incompatible”) cartridges were solved by doing nothing. He just got along without a printer for a few days, weeks, or even months, then tried again and… the darned thing worked. There is no logical explanation for the changes in the printer’s behavior; at least, none that HP is revealing. There may have been a firmware patch that happened while he wasn’t looking. Do You Really Need a Printer? It really isn’t hard for most home users to do without a printer indefinitely. Even business users can dramatically reduce their printing needs, as I explained in Save Time and Money With Alternatives to Printing. Someone needs to remind HP and all other printer makers of that fact. We don’t need your products, so if they don’t work, or if you treat us unfairly, we won’t buy them! Printers should not be such a chronic source of suffering and frustration; they should just work, like a mouse. In their never-ending battle against cheap aftermarket cartridges, vendors have completely abandoned customer satisfaction in favor of market share protection. Printers are over-engineered, fragile, and largely superfluous products. That may be one reason why HP recently announced it’s speeding up the layoffs of over 3,000 employees. Have you had trouble with third-party or refilled cartridges suddenly not working? It might have been the result of a sneaky software update pushed by the manufacturer. Your thoughts on this topic are welcome. Post your comment or question below. Most recent comments on "HP Playing Dirty Tricks?" Thank you for your article! I bought a HP 8610 around a year ago and recently installed compatible ink. After the update it kept giving me error on some cartridges and would not let me print. Thanks to this I was able to roll back the firmware and it is now working again!!! Apparently HP received enough complaints. Dude, I could kiss you!! I was getting ready to throw my HP 8620 to the curb, when I tried your suggestion to roll back the firmware. I did so, then tried my generic ink and VOILA!! It worked!! You sir, are a blessing. Thanks a bunch James and bob for putting this page up. I will not be buying another HP printer, but in the meantime, my 8610 is back working like a charm with the old firmware and ink from a third party. Was gonna get duped by HP by buying their ink, but then I said to myself: "now this can't be right... Printer complained about Cyan..changed the Cyan to a new Jarbo one; no complaints about that one. But then printer complained about Yellow..changed it to a new Jarbo yellow, now complaining about both new C and Y??! Something's fishy here..."
Googled, downgraded firmware via James's link, and voila. Printer works like a charm. I found a simple solution. I ditched my HP and bought an Epson all in one. Ink prices are lower and cartirages larger. I haven't resorted to third party yet. Are you listening HP??? So "PEOED" at HP for this. In addition to print problems at the most inconvenient times, paid way more than the Printer to buy more overpriced HP original cartridges in desperation. Won't buy another HP just for this reason. Thanks so much for the quick fix. Much appreciated! I have a DesignJet T520 that was affected by the HP firmware upgrade despite the use of authentic HP cartridges. The fix I used was to download an August 2016 firmware file, direct from the HP support site. All very interesting. I got the same message about 'damaged' cartridges when I replaced the magenta in an 8610, so I tried another cartridge with the same result. Then waded through HP fix pages, cleaning contacts and re-seating the cartridge to no avail. Both replacement cartridges were from a reputable business supplier and work perfectly well in an older printer, though not HP OEM. The prices charged for genuine HP cartridges are outrageous if you are a heavy user. All I can say to other business users is to avoid HP printers in future I will never purchase an HP product again after this experience! Thanks for your post Bob. I had the same problem, but solved it thanks to your advice. HP is a evil company. This is the last time I buy anything from them. This is such a tech-savvy post and gave me great information on inkjet printers. Can u suggest me the best inkjet printer? I am confused between Canon and Epson. Thank you again Bob, the Dutch solution worked perfectly. This message appear to me yesterday. I also always have use 3rd party cartridges. INTERESTING NOTE: I have 2 printers HP Pro 8610. So when the message appear in 1 printer, and because I didn't had time to "fix it", I just tried to print in the 2nd printer. Guess what: same message. Same problem. What is the probability that the same "problem" appears at the same time in 2 printers? I will try to use your suggestions to fix it. Bob - you are awesome, I cant believe it!!! after being on with HP customers support for hours and them wanting to charge me for the time and THEN sell me a new "upgraded printer"..Iwent online seeking more sneers before I bit the bullet as it just did not make sense to me? Thanks Bob you're a hero. I kept getting the 'damaged cartridge' message on my HP6830 when trying to use non genuine cartridges. The firmware from the Dutch website sorted the problem. I done all that reset, HP customer support and Firmware downgrade and download, but no joy. I still can't get my HP 8610 working again. I tried to download and install the old version of the firmware but stuck at welcome to ''HP printer update'' screen where there is no printer option to select. Not showing my printer that I can select and upgrade? What am I doing wrong? I am trying to resolve this printer issue for last 3 days without any luck but lots of frustration. My HP 8620 will not recognize my 950XL ink. I have the Z10 (US&Canada) but I constantly get an error message. How do I roll back the firmware? I tried the HP download but It does not want to load. HP DOES IT AGin.........As of the firmware update on 11/22/2018 HP printers will no longer accept nongenuine HP ink cartridges. When trying to install an aftermarket cartridge, I get a "Cartridge Error" message asking to reinstall the cartridge. This happens over and over with cartridges from different vendors. 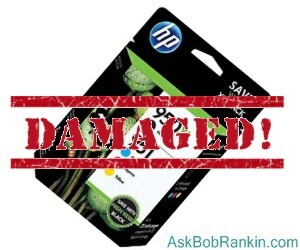 A case was opened with HP and they confirmed that aftermarket cartridges will no longer be accepted in HP printers. They said it was not the intent of the firmware update, but a bug in the update. They said reverting to a previous version of the firmware was not possible and I am stuck with using the costly HP cartridges. A new update may fix it in the future as happened in the past, due to a class action suit by customers. It will be interesting to see how soon HP will act on it as they are now generating boatloads of profits on cartridge sales in the mean time. Do not buy an HP printer if you plan to use aftermarket cartridges. Does anyone know if an earlier version of firmware is available for an HP Officejet Pro 6978 printer purchased new in March 2018? Same problem, went through the steps the 'manual' told me to...not fixed. Rang HP and they ended up selling me their ink for a discounted price with free postage. Next problem was photo paper, the cheaper versions just wouldn't print. I have put off the printing until I have the time AND the inclination to phone again and deal with it. I have told them what they are doing is illegal; that's when they offered the discounted ink! Grrr! There's more reader feedback... See all 144 comments for this article.